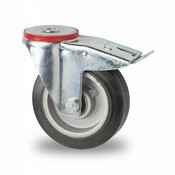 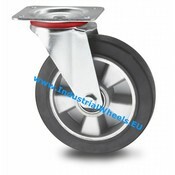 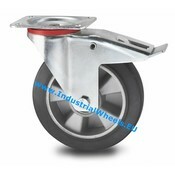 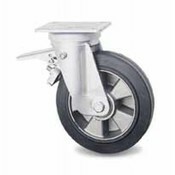 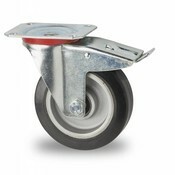 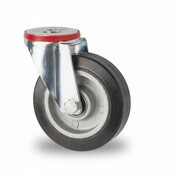 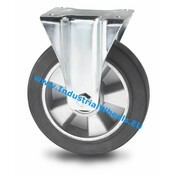 These medium duty transportation castors are suitable for waste containers, carts and trolleys. 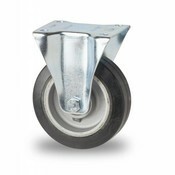 These wheels can hold up to 400 kg each. 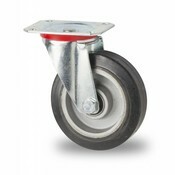 These medium duty transportation castor wheels have an elastic rubber wheel. 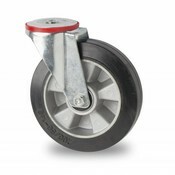 The elastic rubber makes the castor wheel perfect for indoor or outdoor transportation. 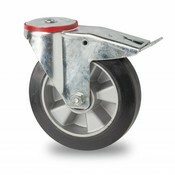 The strong aluminium wheel centre with a ball bearing makes rolling heavy loads easy. This transportation castor can be used indoors or outdoors for a wide range of applications such as waste containers, industrial carts, transport containers, medium load roll cage containers and material handling in factories.